Julie Djikey, a multifaceted visual artist, uses the screen culture platforms of social media and new technologies to disseminate her performance art. Born in Congo-Kinshasa, her artistic approach endeavors a systematic renewal of the stereotypes of contemporary Congolese art. A graduate of the Academy of Fine Arts in Kinshasa and a member of the collective Kisalu Nkia Mbote, Julie Djikey is inspired by the peregrinations of her immediate environment, which she highlights in her art. Her life as an artist has made her a careful observer of facts and all the little things that make and unmake the life in her city, the little nothings that construct everyday existence; scenes that are presented in her life motivate her to capture them. Because her work may be seen anytime and anywhere, it intersects trajectories, surpassing boundaries: geographic, aesthetic and artistic. Most of her artwork revolves around issues related to women, movement, urbanization, issues of modernity and all that relates to the environment. Anything that captivates her gaze, her imaginary, evolves into artistic action. Her present focus is the urban space and breadth of Kinshasa and how it becomes a public image of a city. In her performance art, Julie Djikey presents her body as an object of representation of contemporary art, which becomes both subject and object of art. While performing within a poetic yet subversive spirit, the challenge of her artistic interventions is to mobilise popular awareness of the major themes of city life. The automobile is one of the main subjects of the artistic act. Her work is part of an artistic movement of urban scenography of the big megalopolis in Africa and the world. In the performance art work, "Ozonisation" (2013), Julie Djikey, as part of the Kisalu Nkia Mbote collective, performs in the streets of Kinshasa. The theme of the piece is in protest against pollution, global warming and the use of cosmetic products. She transforms her body into a “human car”, applying a mixture of engine oil and ashes from burnt tires, and a bra made from oil filter cans. This performance protests against the deterioration of the ozone layer due to the greenhouse gas emissions, the main chemo-physical element responsible for the overheating of the blue planet, which should always be green, without air pollution, and free of ultraviolet (UV) radiation. The artist conveys the message of her art by combining the visual: aesthetic, theatric and performative in a very subversive spirit. Performance is also a weapon from the armoury of the scholar artist. Sharpened by a great physical vitality, the work is very powerful, concise, with a sense of unquestionable contempt. The strong artistic interventions of the artist are in line with her belief that the body can be both subject and object of art. Body artist, performer, practitioner of happenings and other site specific events, the artist composes her art with elements of everyday urban life in Kinshasa. Known for her minimalism, through her art she reveals current views, her true language of communication. During Women’s History Month in March several activities highlighting women took place on March 8, International Women's Day. For this occasion, the journal Focus Infos put the spotlight on six exceptional women who excel in their respective fields. One of the women featured, Christelle Aquéréburu, is Director of the film school Ecran. “While there are some who stay in their beds to continue to dream, there are those who wake up to fulfil those dreams"
Married with three children, Christelle Aquéréburu is without doubt the torchbearer of the audio-visual sector and Togolese cinema. Veteran of a multinational maritime, she abandoned this prominent post to pursue a passion that had already preoccupied her since she was a child: cinema. Convinced that self-employment remains one of the solutions to the growing problem of unemployment, she devoted her time to creating a school for training those interested in the field of cinema and audio-visual, a budding but promising sector, which offers enormous opportunities to ambitious, talented young people. Her school aims to train in "...audio-visual professions that at present, continue to offer to people of all ages, a real chance to succeed in a context where the labour market is becoming increasingly competitive and demanding..."
Since its inception in 2009, the school has trained more than a hundred students, all currently working in the field"...My former students have become my best partners with whom I do co-productions; this is simply fantastic and it is one of the wonders of the world of cinema!" To date, Christelle Aquéréburu school has made more than twenty films and documentaries, including Sara, directed by the young Togolese Essi Névamé Akpandza, which was nominated in the School Films Category at FESPACO 2013. This was a first for Togolese cinema, which had never had this honour before! Christelle is also director of the audio-visual production company African Dreams, which has produced the internationally-celebrated reality show Comme une Star | Like a Star. She draws a lot from the everyday life around her to help her students to develop and write scripts, because she believes that "the imagination is a magical act." When asked how she explains her success, she replied with a gracious smile: "... “While there are some who stay in their beds to continue to dream, there are those who wake up to fulfil those dreams". I...did not know that it was impossible, that is why I made it. 10 young women of several nationalities who dream of a career in cinema and show business come together in a villa for 6 weeks during a contest. The jury is the reality television audience who vote by SMS. 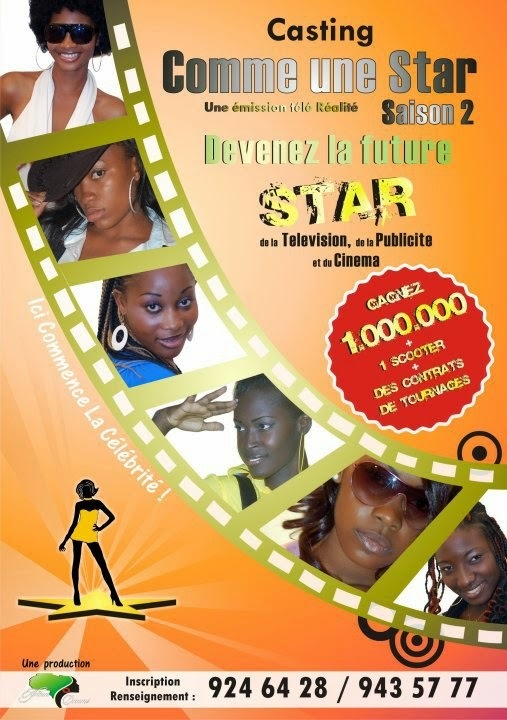 10 filles issues de plusieurs nationalités qui rêvent de faire carrière dans le cinéma et le show biz sont réunies dans une villa pendant 6 semaines pour une compétition. Le jury c'est les téléspectateurs qui votent par SMS! This year, the section Cinéma en liberté highlights the work of Franco-Tunisian filmmaker Nadia El Fani, programming 4 features and 5 shorts (documentary and fiction) at Cinéma l’Univers (Lille), in her presence. Activist Nadia El Fani denounces relentlessly the "dictatorships" that thrive in her country. Prosecuted for contempt and disrespecting the sacred and religious doctrines of Tunisia, since the release of her film Laïcité Inch’Allah ! | Secularism Inch’Allah! (Grand prix international de la laïcité 2011), she is the regular target of attacks and threats. In spite of it all, Nadia El Fani continues her fight for freedom of expression and the protection of minorities in Muslim countries. Nadia El Fani was born in 1960 to a French mother and a Tunisian father, a communist activist among the first leaders of independent Tunisia. After working as assistant for directors such as Roman Polanski, Nouri Bouzid, Romain Goupil, and Franco Zeffirelli, Nadia El Fani directed her first short Pour le Plaisir in 1990 and founded her Production Company Z'Yeux Noirs Movies in Tunisia. Very close to a group of women activists, she directed her first documentary in 1993, Femmes Leader du Maghreb and then Tanitez-moi. Following the making of four shorts including the fictions Fifty-fifty mon amour and producing for other filmmakers, notably a co-production with Canada for a feature-length documentary film, Nadia El Fani settled in Paris in 2002 for the post-production of her first feature film Bedwin Hacker, for which she is also producer. In April 2008, Ouled Lenin is released, and in 2011 Secularism inch'allah, two feature-length documentaries selected and awarded in many film festivals. In 2012 she completed No Harm Done, co-directed with Alina Isabel Pérez. The film won the Grand Prize for Documentary at FESPACO in 2013. Co-directed with Caroline Fourest for France 2, her latest film, Nos seins, Nos Armes ! | Our breasts, Our Weapons! was released in March 2013. Pascal Privet, associate researcher with the Laboratoire d'Anthropologie visuelle et sonore du Monde contemporain de l'Université Paris 7. Since 1987 he directs Les Rencontres Cinema du Réel à l'Imaginaire in Manosque. "I was ten years old ... it was the best time of my life ... in the independent Tunisia of Bourguiba ... They were the few who shared the secret of being sons and daughters of Communist... Chuuuuut ! ..."
Session preceded by the short UNISSEZ-VOUS, IL N’EST JAMAIS TROP TARD ! | Unite, It's Never Too Late ! August 2010, under Ben Ali, Nadia El Fani films a Tunisia that seems open to the principle of freedom... Three months later, the Tunisian Revolution breaks out. And what if the will of the people, a Muslim country opted for a secular constitution? Nadia El Fani leads two struggles while directing Secularism Inch’allah !. A fight against extremists and against an illness. Two struggles that come together in her strong will to live, to live freely. " La section Cinéma en liberté met en lumière cette année le travail de la cinéaste franco-tunisienne, Nadia EL FANI à travers une programmation de 4 longs et de 5 courts métrages de fictions et de documentaires au Cinéma l’Univers (Lille), en sa présence. Femme militante, Nadia El FANI dénonce sans relâche les « dictatures » qui se succèdent dans son pays. Poursuivie pour outrages, insultes au sacré et aux préceptes religieux en Tunisie, elle est une cible régulière d’attaques et de menaces depuis la sortie de son film Laïcité Inch’Allah ! (Grand prix international de la laïcité 2011). La cinéaste poursuit malgré tout son combat pour la liberté d’expression et la défense des minorités en pays musulmans. Elle est nait en 1960, d’une mère française et d’un père tunisien, militant communiste parmi les premiers cadres de la Tunisie indépendante. Après avoir été assistante à la réalisation notamment de Roman Polanski, Nouri Bouzid, Romain Goupil, Franco Zeffirelli, Nadia El FANI réalise son premier court métrage Pour le plaisir en 1990 et crée sa société de Production « Z’Yeux Noirs Movies » en Tunisie. Très proche des groupes de femmes militantes, elle tourne en 1993 un premier documentaire Femmes Leader du Maghreb puis Tanitez-moi. Suivront la réalisation de quatre courts-métrages de fictions dont Fifty-fifty mon amour et la production de films d'autres cinéastes dont une coproduction avec le Canada pour un long-métrage documentaire. Nadia El FANI s'installe à Paris en 2002 pour la postproduction de son premier long-métrage Bedwin Hacker, dont elle est également productrice. En avril 2008, sort Ouled Lénine, et en 2011, Laïcite, inch'allah deux longs-métrages documentaire sélectionnés et primés dans de nombreux festivals. En 2012 elle achève Même pas mal coréalisé avec Alina Isabel Pérez. Le film obtient le Grand prix du documentaire au Fespaco 2013. Coréalisé avec Caroline Fourest pour France 2, Son dernier film, Nos seins, Nos Armes ! est diffusé en mars 2013. Les débats seront animés par le cinéaste et ethnologue Pascal PRIVET chercheur associé au Laboratoire d'Anthropologie visuelle et sonore du Monde contemporain de l'Université Paris 7. Depuis 1987 il dirige à Manosque « Les Rencontres CINEMA du Réel à l'Imaginaire ». Séance précédée du court métrage UNISSEZ-VOUS, IL N’EST JAMAIS TROP TARD ! Août 2010, sous Ben Ali, Nadia EL FANI filme une Tunisie qui semble ouverte au principe de liberté… Trois mois plus tard, la Révolution Tunisienne éclate. Et si la volonté du peuple, un pays musulman optait pour une constitution laïque ? Katy Lena Ndiaye came to cinema gradually. After studying modern literature in Paris, she studied broadcast journalism. She finds in her vocation a strong desire to talk about Africa. While working for television, she quietly continues her cinematic dream. Because the way that Africa is shown on television, she uses her camera as a weapon to work to correct this image. The line is clearly marked. Without taking the time to go through the process of working on a short, she makes the documentary her vocation. This is your second film, coming after the first one dealing with the same theme. What is the difference between the two? Yes indeed, why a similar film to the first? I would say in quotes, because it is not at all similar, in fact it is a trilogy. The initial idea was: "Walls of women, women's words" inspired by a book of photographs called Africa Painting [Canvas], by Margaret Costinklark(?) [Courtney-Clarke], who did a tour of the painted walls of Africa. There was, however, a certain frustration for me: it was beautiful, it was very aesthetic. But where are the speech and culture that are behind it. Thus I started this grand project. Moreover, I would say that there was this desire to go towards a “traditional” artistic practice, in order to show modernity through the words of women. But when you say trilogy, this means that there is a certain evolution, isn’t there? Yes of course. These are not the same countries, they are not the same communities, and are not necessarily the same women. I would say that the paintings and the encounters initiated a story of the people I met in Tibilè: Aminata and her three grandmothers. In Oualata, there are Khady, Cheicha and Massouda. They are mature women, not the same age as me. So automatically, it generates conversations quite different than what I had with Aminata: a woman between generations who was looking for her path. So that was the whole question of this communication: to find the journey of women, and also the theme of acculturation in Africa. And these grandmothers, who have seen the passage of time, and this girl who has not yet found her way. Whereas here they are women in-between the two, mature women. And of course there are other themes that emerge. So your choice of these three women was not arbitrary. There was an idea behind it. You cast them. How did you choose these three women, precisely? Let's say it was a double casting. They chose me and I chose them. During the location spotting, I became lost and I started turning around in circles in search of interlocutors. Of course there was the language barrier. And then there was a question, like a revelation, which one of the women made right from the beginning: Well, in fact, you there, what are you doing? What are you looking for? Who are you? While I was trying to find a level of acceptance, this question awakened me. And I started to wonder: what did I come here to do? Why women? Why Mauritania? And I began to question the project itself. And in so doing, I found out the why. I felt close to these women. They questioned the woman in me, and so I was questioning the woman in them. A kind of dialogue between women emerged. How can one be woman with you, and then with me (which is between the two) . I was born in Senegal, and thus, African and Muslim and I grew up in Europe. I had in some way to be able to negotiate my place here. So all of that has nurtured the film. At some point one of the women completely reverses the question by saying to you "and well..." regarding the issue of property. There is a strong intimacy that develops between you and these women. Once I had an eye-opener, thinking "this is not going to just play itself out. We are going to put the cards on the table and we are going to establish a dialogue, a discussion." What right did I have to come and ask them questions, to which they kindly and generously responded? Well then we do half and half. I ask questions and you ask me questions and so on: we dialogue. So I put aside my role as director. When we ask questions we expect answers. But there are cases when people resist, and who refuse to answer . At one point, a woman replied to you, " No, I did not understand your question" or "No I cannot answer your question." You kept this in the film. Was this somewhat frustrating? It was not at all frustrating, because in refusing to respond, one does so anyway. And it was precisely this kind of interaction and why I came to ask all these questions. And then it was as if it was with a girlfriend, when there is a sensitive issue, it is dropped. So not really, it was not a frustration. On the contrary, I did not want things that were always smooth. I especially liked to be told no and to be brushed off, rather than to be given responses that were not true or authentic in relationship to my questions. These women are without men. One sees only the women. Men are completely absent, except for a few brief appearances, or they may be mentioned, they are in the women’s speech. This is a choice of écriture? Of course, it is a choice. The man is present in thoughts or speech but not physically. You objective was to put an end to the clichés about women in such societies. The woman we see in the film is not weak or submissive. The women that you depict have strong personalities. They raise up against men: husband, father, etc. Quite honestly it was accidental. I did not do my casting based on an image of the women that I wanted. No really, it was by chance that I discovered them. Many things are revealed to me during the editing. There are powerful words that I asked to be translated 15 times because I thought: "No, this is not true, she did not say that." It was by happenstance early on that that I came across these women. They chose me and I chose them. On what basis? There was an affinity, a theme: the mural... In fact, it was solely based on their eagerness to participate in this effort. Because I told them that we were going to make a film together. It was not at all a done deal. I did not think of the clichés at all. I simply went to see. In fact, while initially thinking about it before being on location, and wondering why Mauritania, it was because the murals (the Tarkhas) invoked the women and in a very sensual way. It is from this perspective that I was brought there: women with a Muslim culture, the paintings—whether explicit or implicit. This is what led me to Oualata and to these women. These paintings are works of art, naive art, spontaneous art, all that one wants... This subject has given an artistic look to the film itself, which emphasizes the creative expression within this space, maintaining the artistic atmosphere of these paintings and the surroundings. site. In my frustration as I turned around in circles looking for the right people, I got lost in Oualata. And for me, Oualata was an immense Tarkha, an immense mural. Every detail breathed the Tarkha. Once these paintings give reference to the women, for me, the moments when the women are not on the screen, where one is in a still-life environment, the Tarkhas are still there. This is the continuation of the women's words. What they have just said or what they said ten minutes before is still in one’s mind. All the details really signify the Tarkhas, and their aesthetic. 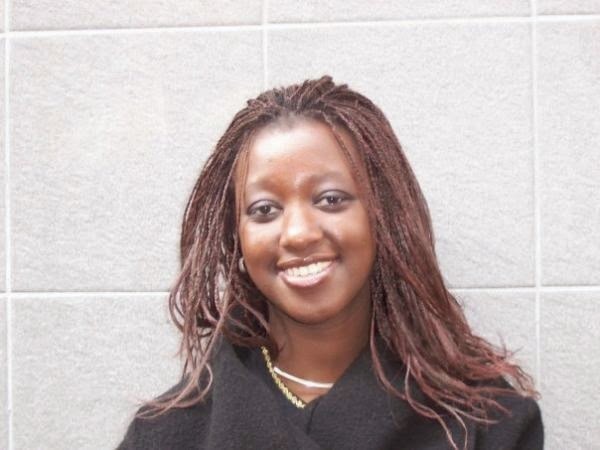 Senegalese Katy Lena Ndiaye is best known as journalist for the programme "Reflection from the South” on the French channel TV5 Monde, and on the Belgian public television RTBF. Katy Lena Ndiaye, who lives and works in Brussels, is also a talented filmmaker. 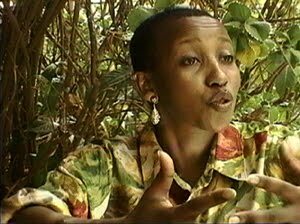 Her second documentary, Awaiting for men, was presented out of competition at the 22nd edition of the International Francophone Film Festival of Namur in 2008. In Traces, Footprints of Women, her first documentary, Katy Lena Ndiaye gives voice to women in a village in Burkina Faso, near the border with Ghana. Using only their hands, they decorate their houses with colorful frescoes. If her first film focuses more on the pictures than on the speech of the village women, she seems to have changed her cinematic approach in Awaiting for men. In this 56-minute documentary, she gives voice to three women of Oualata, this "red city " in the extreme east of Mauritania that defies the sands of the desert. In this remote corner, life flows like a long quiet river. Here, one does not lived by the tick of the clock. Most of the men have gone to seek their fortune in the big cities of the country or abroad, leaving the women alone with the children and the elderly. The camera of cinematographer Herman Bertiau positions itself, in a natural setting, on the daily lives of three women. The first is very good-natured, the second expresses herself with humor and the third has a more reserved nature. But all three speak freely about their relationships with their husbands, with men in general, about their setbacks, their joys, their disappointments...in short, how they live in this immense desert region. The viewer is even sometimes thrown off by this freedom of expression in a society considered (wrongly?) as misogynistic and where the woman gives the impression as counting for less than nothing. However, by examining the voices of the three “heroines", one conjectures that the man is not necessarily the one who rules. "When I want my husband, I tell him so, and he must do it!" remarks the one that seems to be the most playful, the most mischievous. It was not easy to get the women, who are often rather modest, to speak. "The location spotting was difficult, but I managed to put them at ease," says the filmmaker. In fact, Katy Lena Ndiaye uses the colors of the frescoes as "cutaways" to heighten the women’s discourse as they wait for their men as the end of Ramadan approaches (the film was shot a few days before the feast of Korité [the day marking the end of fasting of Ramada]). "The murals are the representation of their speech", explained the director at the end of the screening. The camera, always fixed, gives the viewer time to explore facial expressions and the beauty of the landscape. The angles, wide or tight, insist on details: hands kneading clay or mixing colors; stolen smiles; bursts of spontaneous laughter; expressions of such pure faces... The documentary Awaiting for men runs counter to the clichés about African society, particularly Muslim. "It is true that one can easily fall into clichés thinking that in these societies it is always the man who dominates. I think it's more complicated than that..." cautions Katy Ndiaye. Her film, which is the second of a trilogy on artistic work she wants to pursue, brings to us a universe that we rarely get to see on African screens, "colonized" by the lavish Hollywood films and the rosy South American telefilms. Subtle editing, a stripped down, simplified music by the Belgian jazz musician Erwin Vann, and the beautiful voice of the Mauritanian singer, Malouma, make the viewer feel as if the 56 minutes of the documentary have hardly passed by. The number of women filmmakers is increasing though it remains insignificant compared to that of men. Moreover, one finds film festivals dedicated to women being launched in different regions. While there may be the risk of a certain ghettoization, women are finding opportunities to increase their visibility. Does this allow for an approach specific to women’s issues that scarcely are brought out on the screen or that engage a feminist perspective? Women of the image respond directly and straightforwardly. During a panel discussion with women filmmakers [during the conference organized by the festival Vues d'Afrique in 2013: les Journées du cinéma africain et créole of Montréal in Canada], it was only after the 4th or 5th question posed by the public that the debate got to the heart of the matter; namely to talk about the director’s work as such. Early interventions focused primarily on the status of women, though that was not the theme of the gathering: How do you manage your profession as a woman? As a woman, what obstacles do you encounter in the field? And so on. Most often, these interventions came from other women... Despite several years of the presence of women in the industry, there is still surprise when a woman is the author of such and such cinematographic work. If this question is still being posed today, it is that one underestimates the fact that there are actually few women filmmakers in the profession. Seeing women’s faces on the screens or seeing them occupy positions other than directing (editing, production, casting, etc..) can give a misleading picture of reality. 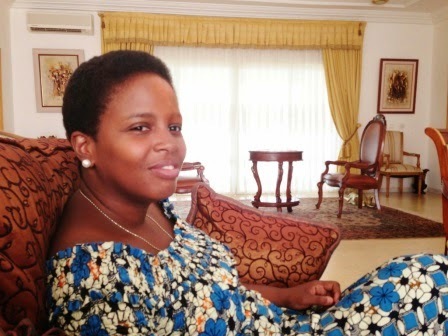 Cameroonian filmmaker Osvalde Lewat (Land Rush, Black Business*) says that people are still surprised when she tells them she is a filmmaker: "Even with the same skills and the same means, it is always more difficult for a woman to make a film. Women have much to invest in cinema especially behind the camera as director. When I say I make films I am always asked: You're an actress? You are an editor? I await the day when they will ask me if I am a director," she said. According to Beti Ellerson, Director of the Centre for the Study and Research of African Women in Cinema, generally speaking there have always been events devoted to specific groups when they have been historically underrepresented, or simply to highlight their specificity. “The creation of women’s associations, the commemoration of International Women’s Day, Women’s History Month, are all examples of this recognition. Women’s film festivals and festival editions with a women-focused theme exist for the same reason, in the same way as the influential New York-based Women Make Movies, she explains. If one considers the argument that these festivals provide the possibility to focus on issues specific to women, we can wish them a long life because the woman is a subject that has not yet been fully explored in film, according Osvalde Lewat: "There are not so many women’s film festivals, she exclaims. There are more filmmakers who are men who have made films about women than women filmmakers about women," she says. On the other hand, for Algerian filmmaker Fatma Zohra Zamoum (Kedach ethabni / How much do you love me), "Whether women or men, we are all equal before the financial institutions in the industry!". Meanwhile, Togolese director Gentille Assih (The Rite, the madwoman and I* Itchombi), says she never bases her choices or her work on the fact that she is a woman. For her, women’s film festivals are thematic festivals that have their raison d'etre as well as other specialized festivals. "These are markets, showcases, spaces to meet and network. There are many specialized festivals: animation film, gay, documentary, Africain, Human Rights, and others. It is up to filmmakers to choose where they want to show their film according to their distribution strategy." Women’s film festivals are created because they do not find sufficient space in mainstream festivals. This problem is not unique to cinema but extends to all categories of art in general, by the fact that the artistic network remains largely male. Jackie Buet , Director of the Festival International de Films de Femmes de Créteil (International Women’s Film Festival of Créteil), one of the largest events of its kind, has this to say about the subject: "As long as society has not established a perfect equality among men and women, I am for the existence of festivals as varied as numerous, dedicated to women filmmakers. And of course these spaces should be mixed for general audiences. For if we want to change attitudes, it must be done with women and men included, she says. In France, there are only 15% of women directors, but abroad and even in other European countries, their presence is less than 5%! At Cannes the great international showcase of world cinema, they are 0.5% of the selections, so it is alarming!". The 66th edition of the prestigious Cannes Film Festival had only one woman director (out of eighteen directors, well!) in competition for the ultimate prize in 2013, in the person of Valeria Bruni-Tedeschi with Un Château en Italie (A Castle in Italy). Need one recall that until now director Jane Campion (New Zealand) is the only woman to have won the Palme d'Or for her film The Piano in 1993? Films with an* were made with funding from le Fonds Francophone (OIF / CIRTEF). Le nombre de cinéastes femmes augmente mais reste insignifiant comparé à celui des hommes. À côté de cela, on voit aussi quelques festivals de films dédiés aux femmes s’établir dans différentes régions. À défaut d’y craindre un risque de ghettoïsation, la gent féminine y voit une opportunité d’accroître sa visibilité. Cela permet-il d’approcher des sujets spécifiques aux femmes peu abordés à l’écran ou encore de s’engager dans une perspective féministe? Des femmes de l’image y répondent sans détour.